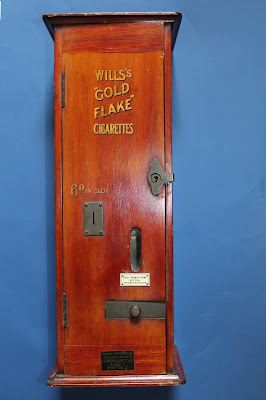 The wooden vending machine is stamped with the maker's mark: Clement Garrett & Co., Jessop Street, Sheffield. 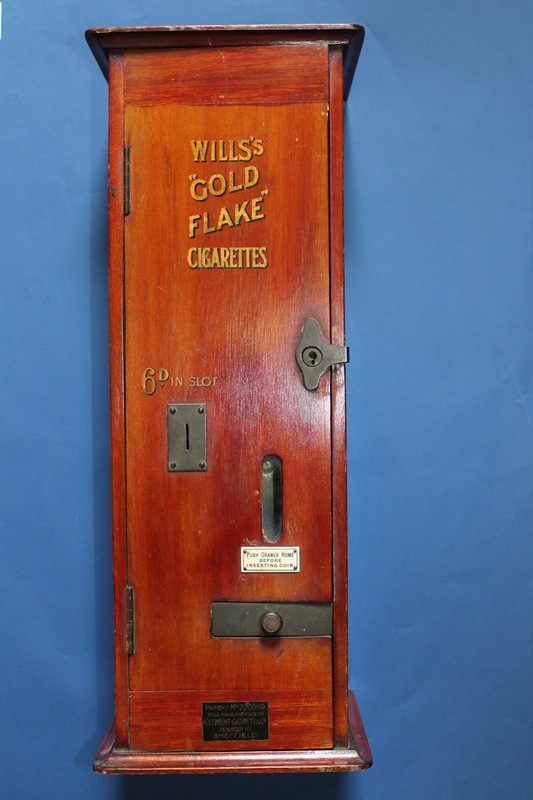 In order to obtain the cigarettes 6 pence had to be placed in the slot. This vending machine came from Walsh's Tobacconist's in Dungarvan. The Walsh family took over the tobacco and snuff business in Main Street form the Carbery family in 1879. This was on the site of the present Garvey's Supermarket.